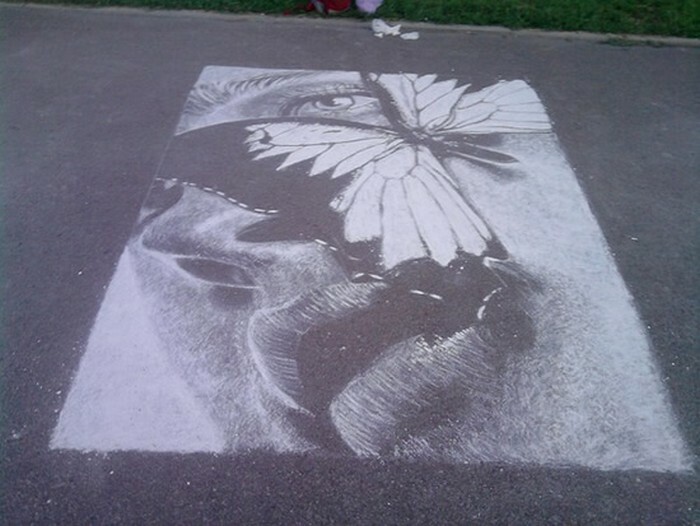 Many of us used to make chalk drawings on asphalt in the streets and in the yard of our houses in childhood. But one Russian young man seems not to have given up his childhood hobby of chalk drawing. 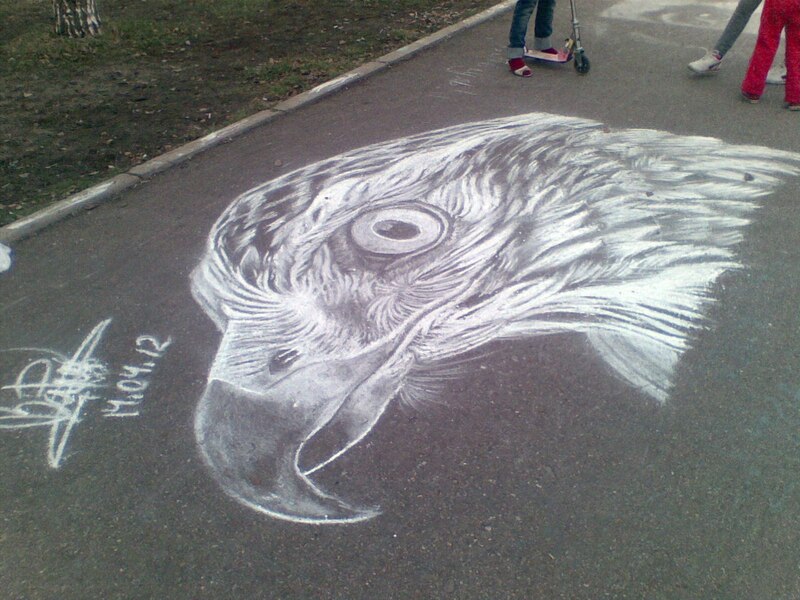 Rustam Valeev from the Russian city of Sterlitamak (Republic of Bashkortostan) creates stunning chalk masterpieces on asphalt in a park of his native city. The 20-year old street artist has mastered his technique so well that the portraits of celebrities, animals and birds look realistic. while drawing he uses just a piece of white chalk. Rustam Valeeev made his first chalk portrait in 2010. It was a spontaneous idea. He was in a company of his friends and just decided to draw a portrait that came to his imagination. Since that time the young artist has mastered his technique and has been making chalk masterpieces on asphalt. The most favourite place is the alley of Batyr. The young talent says that just in that place the asphalt meets all his requirements of quality and smoothness. Public opinion and attitude to my art is very important for me. I usually finish drawing around 5-6 in the evening. Then I step aside and watch the reaction of passers-by who return from work and study. Our city is kind of dull and boring, people do not smile often. But when they see my chalk works, their faces change, they start smiling. Many people take photos with my drawings.., talented Russian artist Rustam Valeyev says. 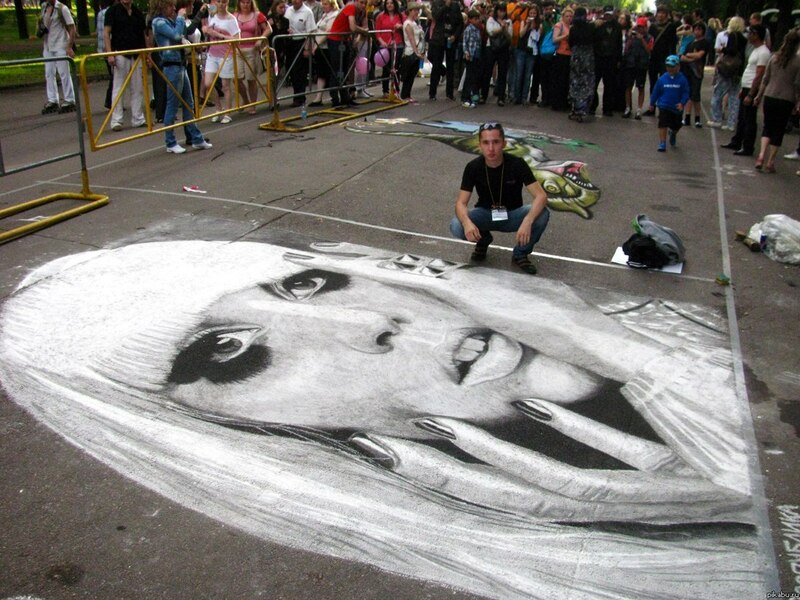 How is the artist able to be so clse to life in his chalk masterpieces? Well, the secret is that Rustam first prints out photographs he wants to recreate and then redraws every detail with chalk on asphalt. In his childhood Rustam attended art school for 5 years. However, he did not study the chalk technique there. 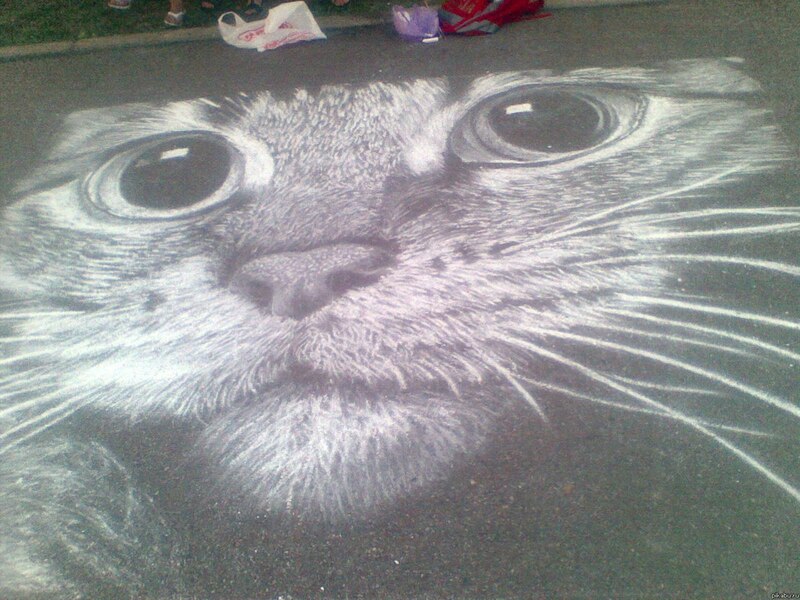 It took him years to developed the chalk technique he uses now to create his masterpieces on asphalt.